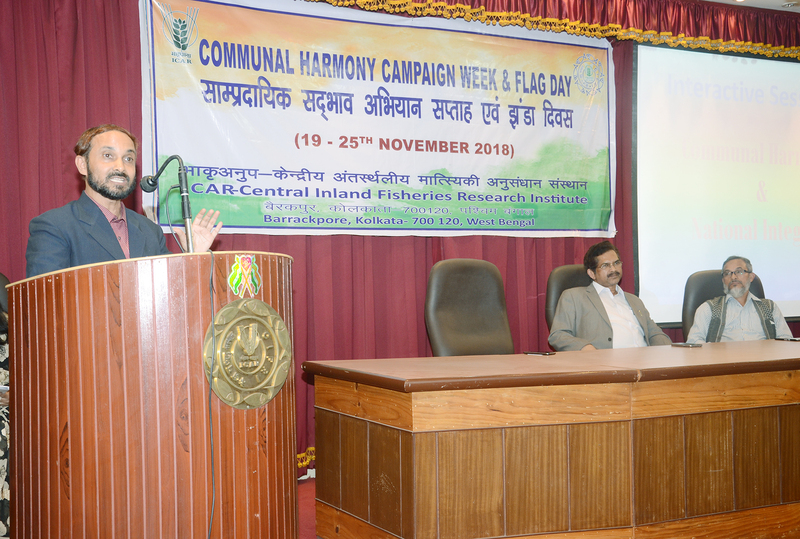 ICAR-CIFRI observed Communal Harmony Campaign Week & Flag Day during 19-25, November 2018. 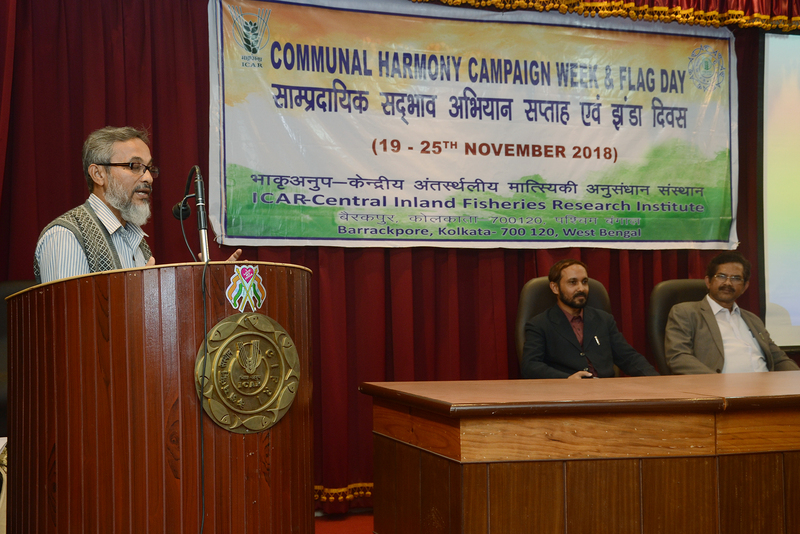 To foster and reinforce the spirit of communal harmony and national integration, ICAR-CIFRI observed Communal Harmony Campaign Week & Flag Day during 19-25, November 2018. 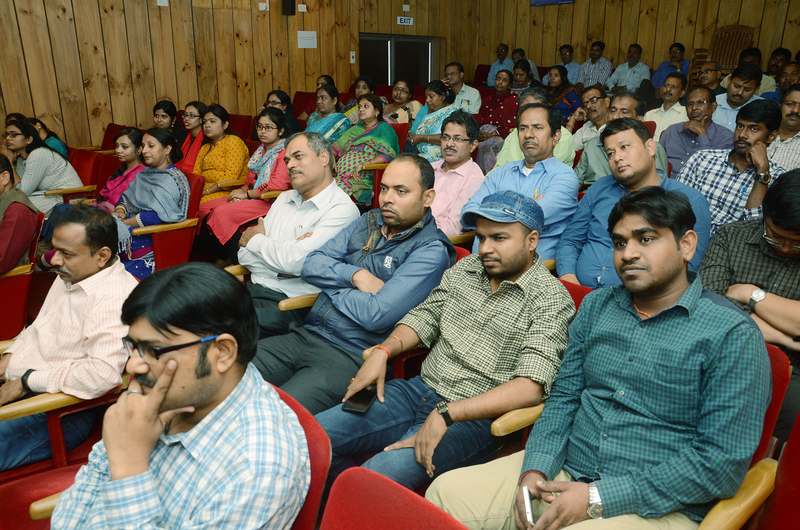 The week-long programmes were initiated on 19 th November with pledge taking on national integration by all staff of Institute. 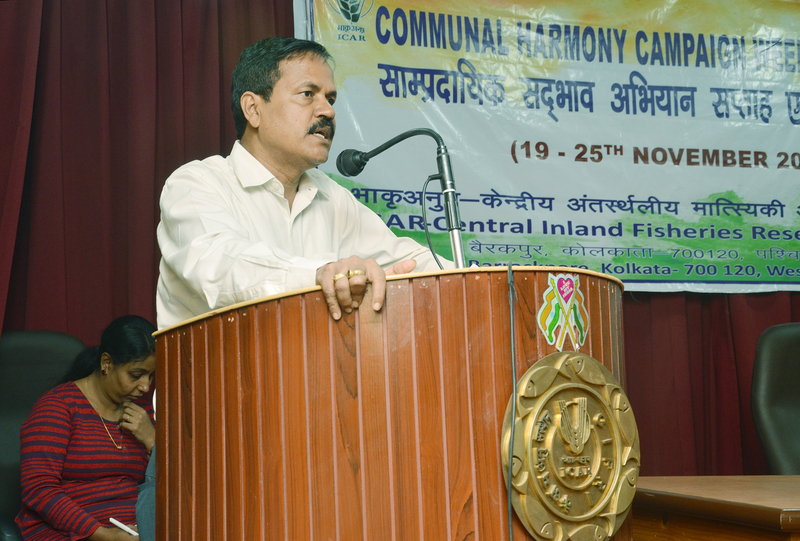 A sensitization programme was organized among the fraternity for promoting communal harmony and national integration on 20 th November in which Director Dr. B. K. Das appealed all the staff for promotion of the noble cause. 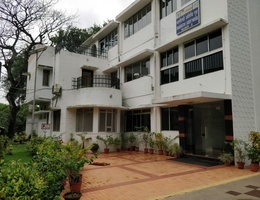 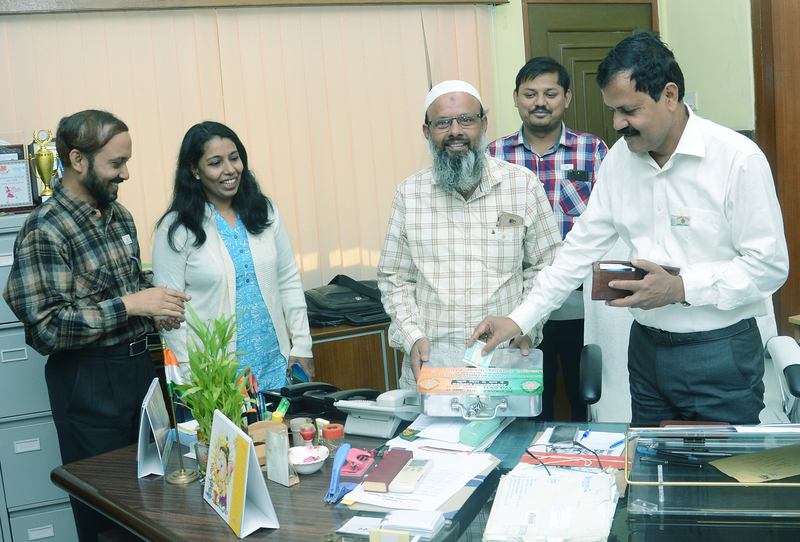 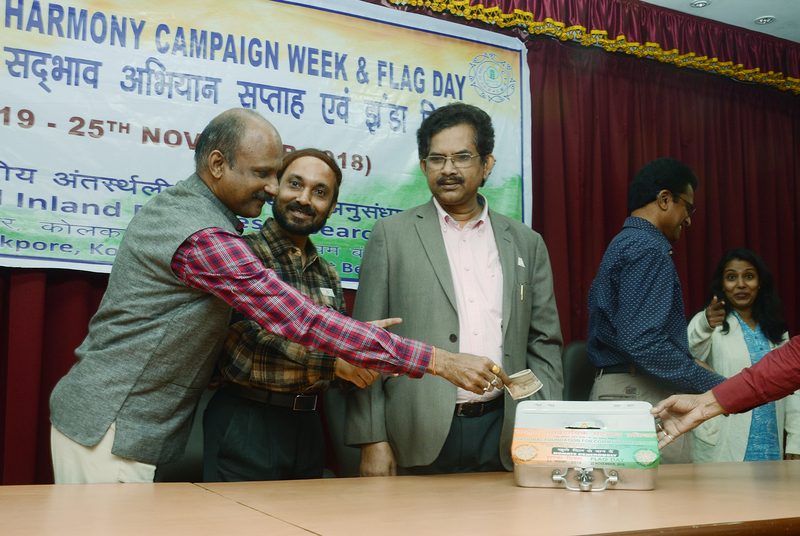 22 nd November was celebrated as Flag Day and a voluntary fund raising campaign was carried out to which institute staff contributed with enthusiasm and fervor. 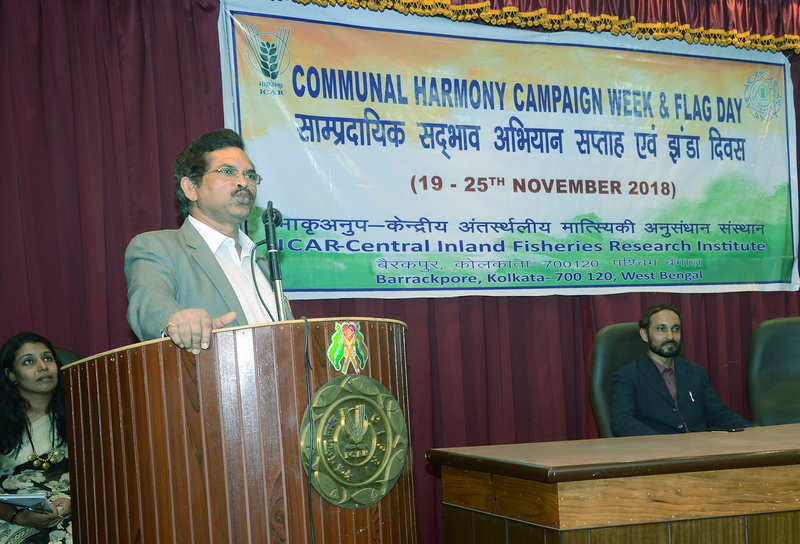 A concluding ceremony was conducted on 24 th November in which an interactive discussion session on ‘Communal Harmony and National Integration’ was organized. 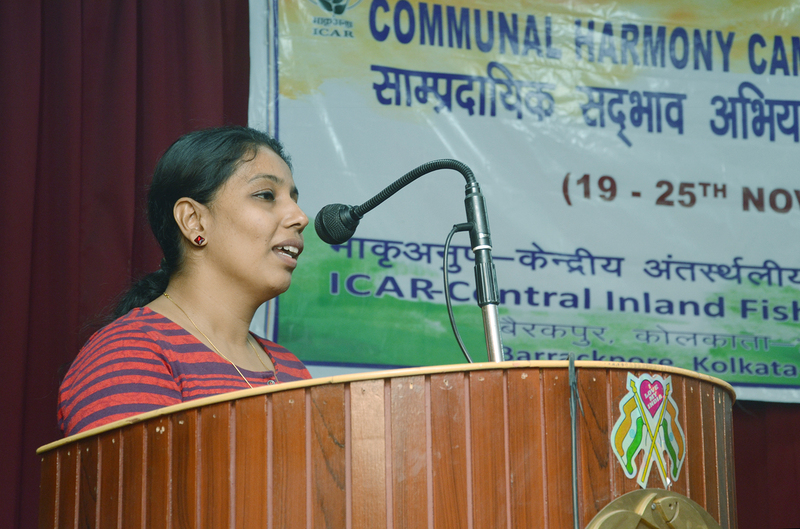 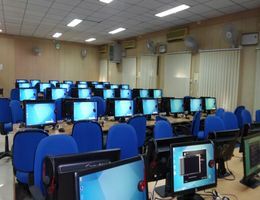 In the interactive session, many staff expressed their views which emphasized the themes of secularism, anti-communalism and non-violence.